When a woman is sporting her burgundy hair, leave her alone because she’s going through her ‘diva’ phase. That rich glistening color of the wine, that gloriously deep shade of lipstick, that voguish little dress – everything looks better in burgundy! Dubbed as the ‘shade of fall,’ this color can never go out of season. Are you considering this magnificent color for your hair? You’ve made a great choice! If you are worried about which product to choose, you have come to the right place. 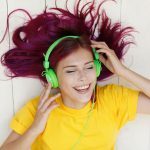 Here’s a list of the best burgundy hair color products available in the market right now. Take a look! Want to experiment with something subtle yet smashing? If yes, you need to get your hands on this beauty. 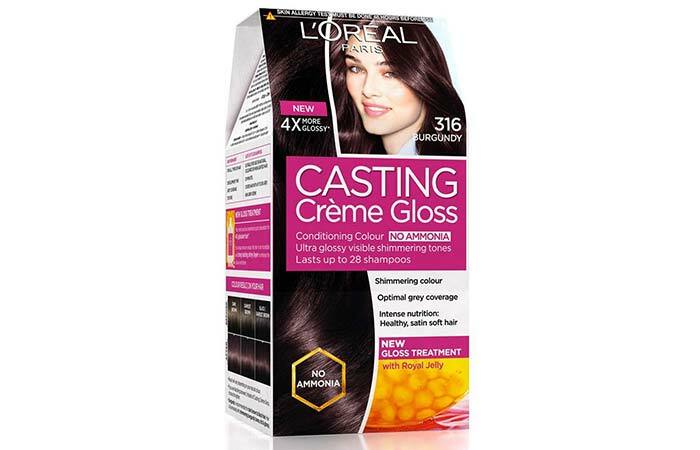 L’Oreal Paris Casting Creme Gloss is an ammonia-free product that gives you a gorgeous and natural-looking hair color. 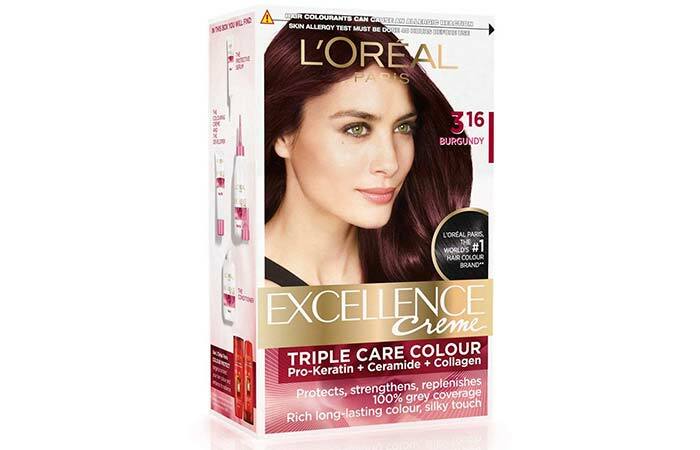 This conditioning hair color imparts glossy, shimmering tones that last up to 28 shampoos. It claims to nourish your hair with its new Royal Jelly Gloss Treatment that leaves your hair feeling healthy and satin soft. The color is best suited for wheatish skin tone and goes well with darkest brown to black hair color. 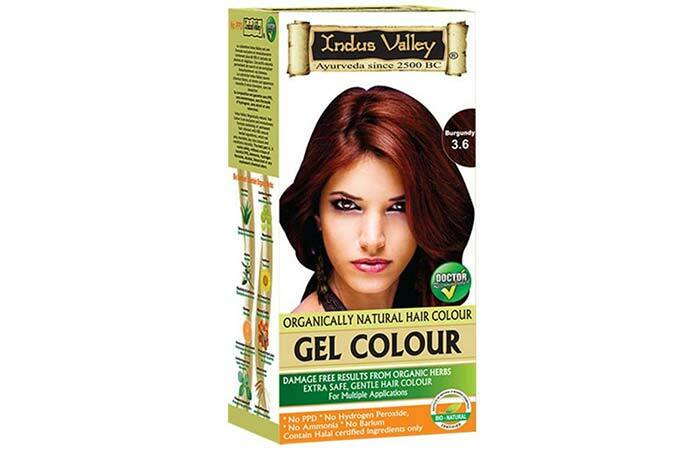 This color is made for Indian beauties to add an extra oomph to their natural hair. The creamy formula contains a blend of coconut, olive, and almond oils. These nourishing ingredients condition your hair while coloring it. The non-drip formula is easy to use. The color lasts up to 8 weeks. This color claims to cover gray hair and enhance the health of your hair and scalp. It keeps your locks soft and maintains its glow for weeks. This burgundy color by L’Oreal can transform your look completely and help you flaunt your best facial features. It claims to protect your hair in three ways – by sealing, replenishing, and conditioning your hair. The serum infused with ceramide protects each strand from breaking. It also contains a pro-keratin complex that strengthens the follicles from within and nourishes each hair strand. This new and improved formula adds softness and shine to your hair instantly. This is the perfect burgundy shade to add vibrancy to dull and lackluster hair. This dazzling hair color can turn you into a dainty damsel with its rich and radiant shade! 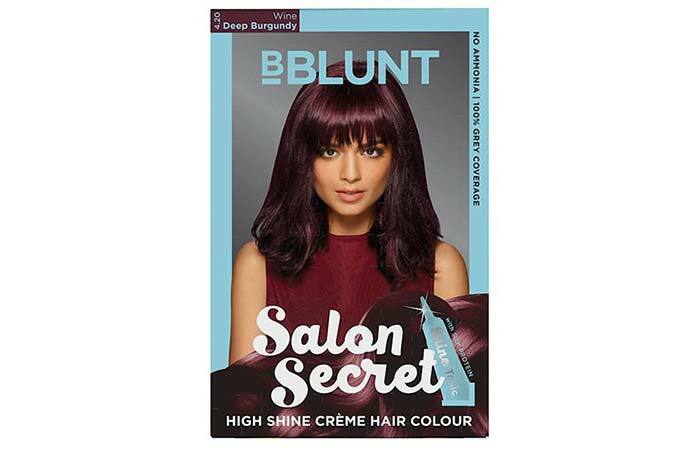 Coming from India’s premier salon, BBlunt brings you this stunning 3-part hair color for salon-like gorgeous hair. It contains a unique shine tonic that gives you a shimmering hair color. Created especially for Indian hair, this color provides 100% gray coverage. It is ammonia-free and lasts up to 8 weeks. It works well on dark to medium brown hair. Revlon’s Color Silk Technology is all about soft, shiny, and radiant hair. 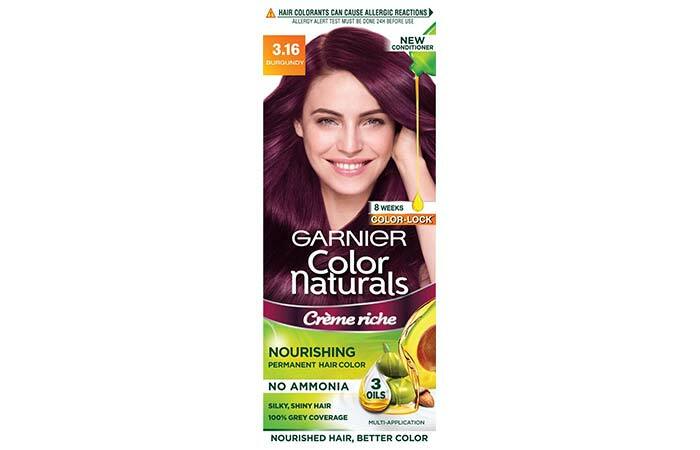 This deep, enriching hair color is warm and mellow. With the new 3D Color Gel Technology, this product gives you multi-tonal, long-lasting color. 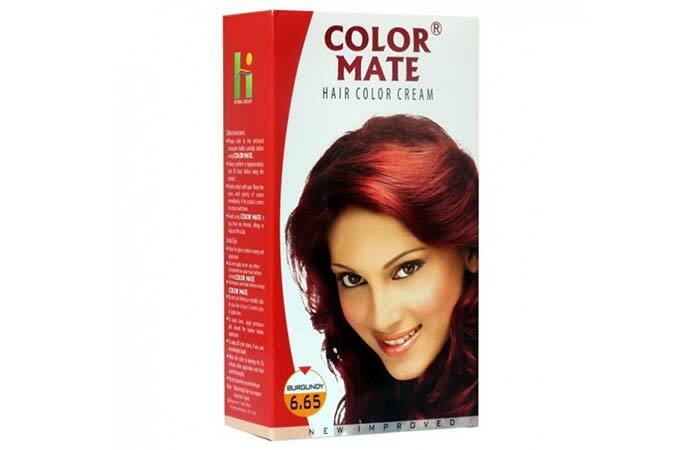 It is formulated with a special combination of dyes, conditioners, and polymers. It not only boosts your hair color but also adds shine to dull and lackluster hair. 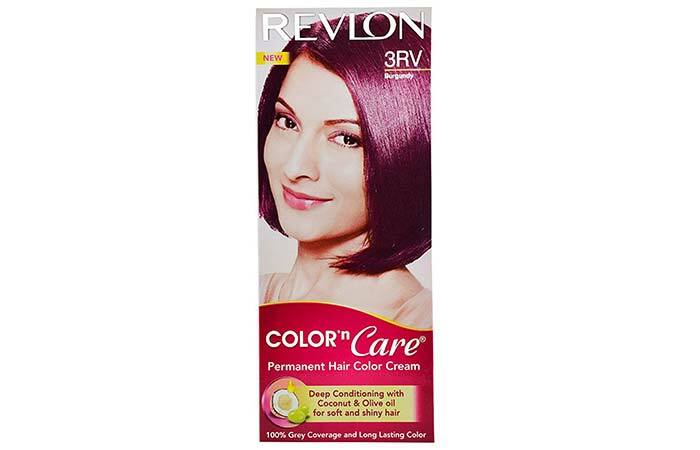 Additionally, Revlon Colorsilk contains a unique UV defense mechanism that protects your hair color and prevents it from fading. 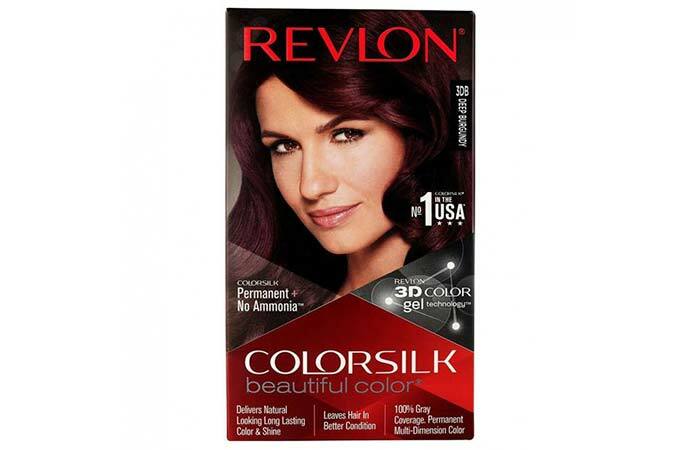 Revlon brings you Color ‘N Care technology, which believes in giving a rich hair color to its users. This formula is enriched with coconut and olive oils and leaves your hair feeling soft and healthy. This dazzling color can make you look like a diva with its natural and elegant appearance. It also promises to give you a makeover by adding luminous shine to dull strands. It claims to nourish each strand while coloring it. The radiance of this burgundy hair color lasts for several washes. This hair color is enriched with aloe vera and milk proteins. The goodness of these ingredients nourishes your hair as you color it. It is ammonia-free and saves your hair from damage and breakage. It comes with two pre-measured sachets, a colorant, and a developer. So, you can simply mix sachets without any hassle. This rich burgundy color gives you a youthful look and makes your hair appear glossy. This gel color contains nine natural herbs that give a natural reddish tone to your hair and prevent split ends, dandruff, and hair fall. Herbs like henna, jojoba oil, and sunflower nourish your scalp and make your hair soft and silky. It contains UV defense technology that prevents your hair color from fading. It has a subtle orange fragrance. This color is ideal for first-timers as it has a balanced undertone that is neither too dark nor too vibrant. It is the perfect choice for gray coverage. This color is suitable for all Indian skin tones. 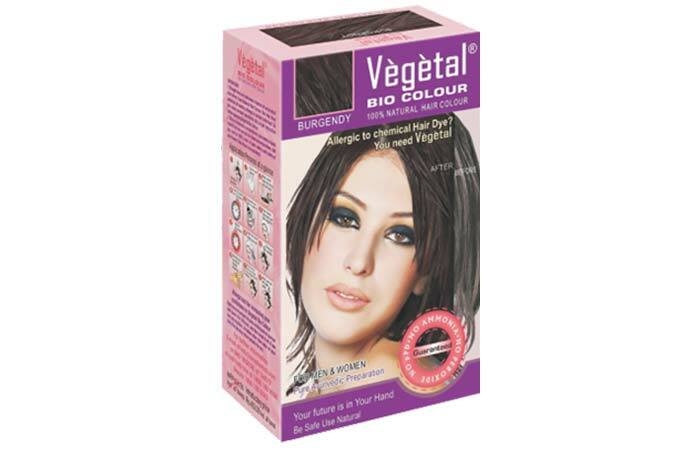 The Vegetal Bio Color helps color your hair with maximum pigmentation. The color looks natural and leans more towards a dark undertone. If you are planning to add a little burgundy zing to your natural hair, this color is ideal for you. Since it is made with organic ingredients, there are no side effects. Besides coloring, it rejuvenates and nourishes each hair strand and leaves you with healthy, soft, and silky hair. It is created exclusively for those with sensitive skin, and this hair color is free of ammonia and PPD. The color fades gracefully, leaving no brassiness behind. 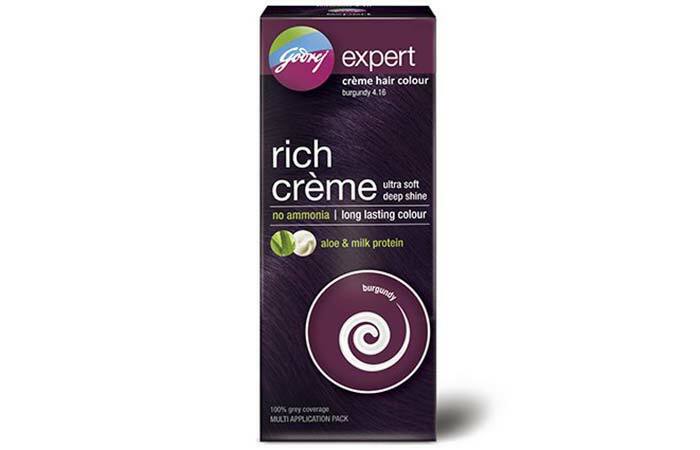 This cream-based hair color is enriched with natural oils that nourish your hair as you color it. It gives your hair a rich shine with long-lasting, natural-looking color. The texture is creamy and does not drip, so no messy stains! The color is distributed evenly and penetrates each hair strand from root to tip. It contains an advanced conditioning formula that maintains the pH balance and makes your hair incredibly soft and silky. It ensures 100% coverage of gray hair. Are you ready to rock your new burgundy hair color? Then, get your hands on these products and explore them. Who knows? You might attract some serious admirers with your beautiful burgundy tresses! If you have tried any of these products or have any questions about them, let us know in the comments section below. Oxblood is a shade that looks fabulous on every woman. It is a dark shade of red tinged with dark brown and purple undertones. Check out this list of the 12 best oxblood lipsticks and get that irresistible vampy pout. 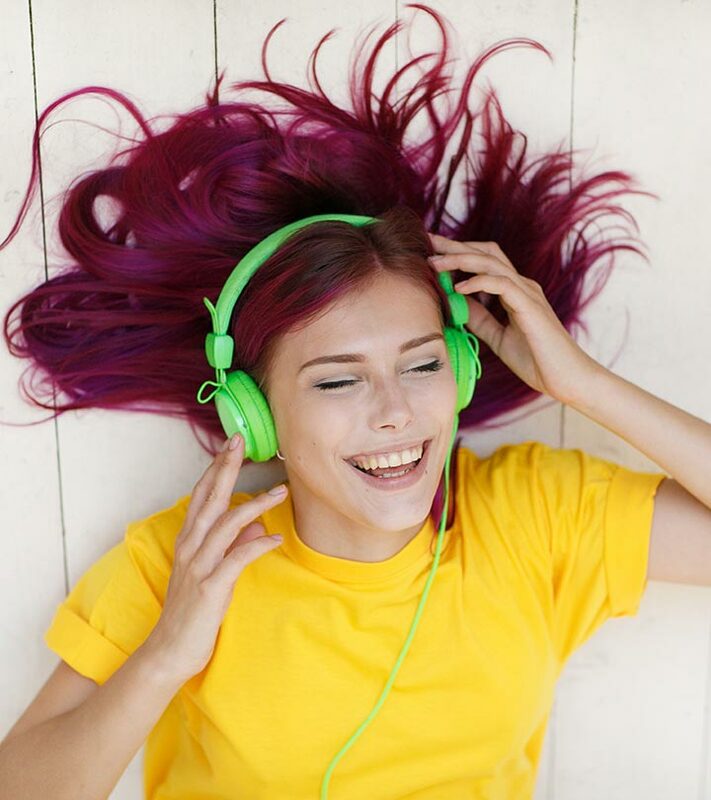 Do you secretly envy that classmate, colleague, or friend of yours who often colors her hair just for the thrill of it? Do you want to break free from your routine hair color and switch to something vibrant and vivid? Well, what are you waiting for? If you are wondering which brand to start with, let me help you out.